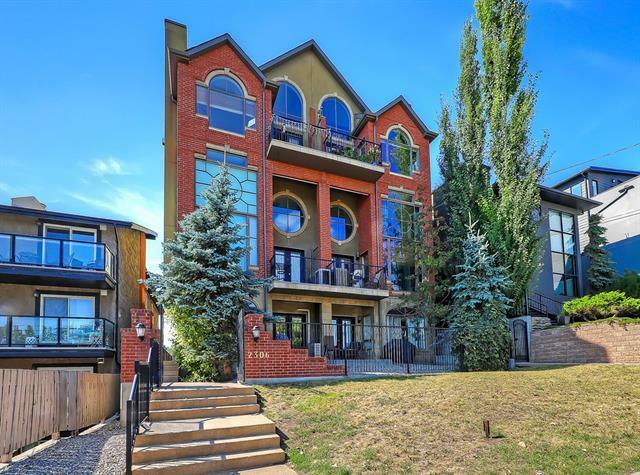 Welcome to Bankview Park Estates, an architecturally stunning building in the heart of one of Calgarys most sought after communities. 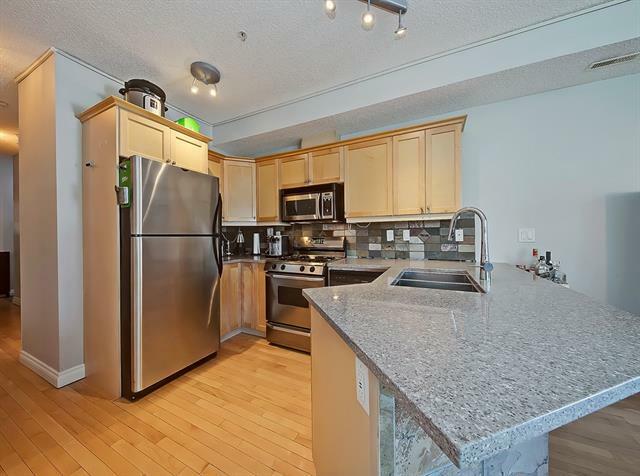 This luxury condo offers 2 bedrooms, 2 bathrooms, an upgraded open-concept kitchen and Ductless Air Conditioning through out the unit! This very spacious and open floor plan combines the living,dining and kitchen areas into a space ideal for entertaining. 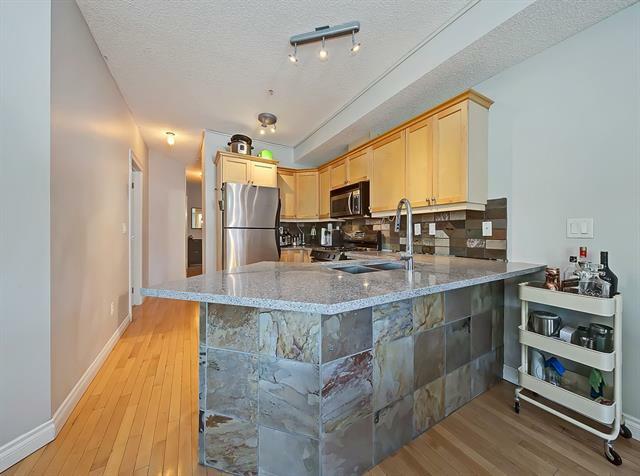 The kitchen has new counter tops and newer stainless steel appliances. The large master is complete with a walk in closet and four piece ensuite. 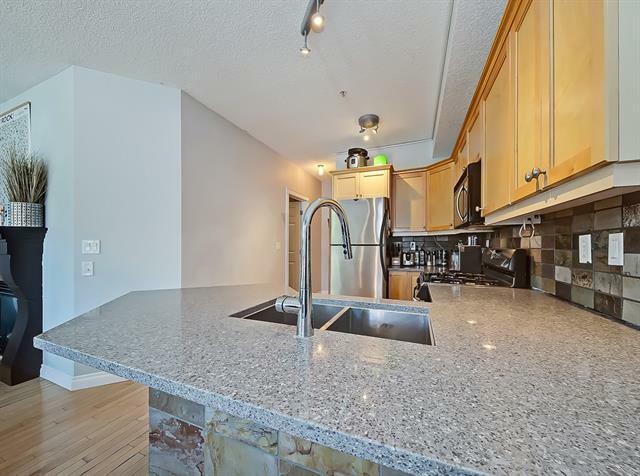 The home features in suite laundry and heated underground parking! You have a partial downtown view off the large front patio,which features beautiful landscaping.